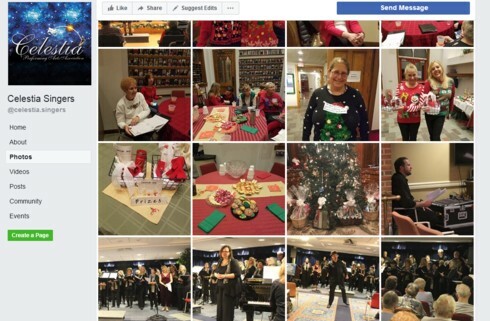 Videos from this season's shows are now on our Facebook Page! Celestia Singers is a group of about 30 singers. Celestia divides the year into two seasons. The Winter/Holiday season usually starts rehearsals in early to mid September, and performs shows in the first two weeks of December. The content of these shows usually centers around the holidays and is a combination of secular and religious materials. The Spring season usually kicks off in mid January and each year a new theme is chosen. Rehearsals continue through mid May and the longer time allows for more involved shows. Performances run from mid May through June. 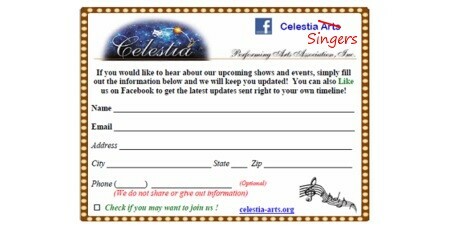 The Celestia Singers are a division of Celestia Performing Arts. or would like more information about us, click here to email us. Mr. Alex Ramirez, our Director from 2008 to 2017 (nine years! ), has stepped down to further his education. We will miss him with our whole heart! Please Visit this Very Special Tribute page for Alex! 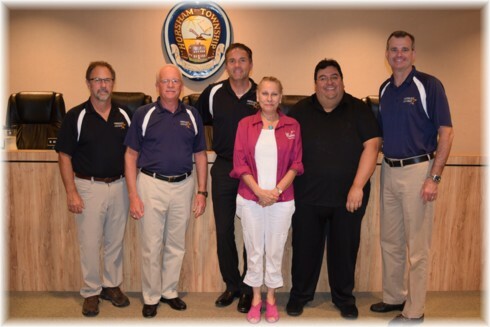 Celestia was honored in 2017 by the Horsham Town Council for their service to the community. Accepting on behalf of Celestia was Mr. Alex Ramirez and Carol Bonnet. Music for all tastes and ages are typical Celestia programs including Broadway, Popular, Patriotic and Holiday tunes. 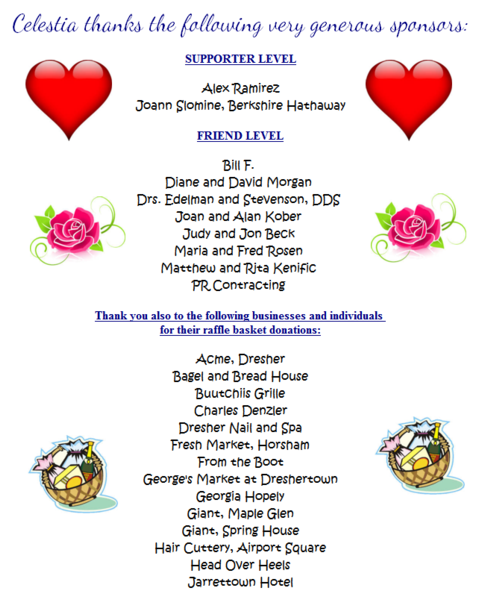 Or, click to fill out one of these mailing list cards. © 2000 - 2018 Celestia Performing Arts Association, Inc. All Rights Reserved.